Well made, lightweight, packed with great components and injects the fun back into riding a bicycle. The annoying thing about children is that they grow and they grow fast! Those first bikes that Father Christmas brought my children have long since been passed on to new homes, extensively ridden but still as good as new, sold to friends or to friends of friends who were only too glad to take them. A child's bike has a shelf life of about 2 years (give or take a few months) I think, and for children between the ages of 6 to 12 you can expect to pay somewhere in the region of Â£150 to Â£500 for a new bicycle - not a cheap prospect every other year but the great thing about buying quality children's bikes is that they hold their price on the second hand market very well, especially if they have been well looked after. Frog Bikes came to my attention in early 2013 and founders Jerry and Shelley seem to have built their passion for motivating children riding bikes around everything they do. Their website also boasts a fascinating environmental policy with other plans afoot to buy back and recondition old Frog bikes to then send on to developing countries. 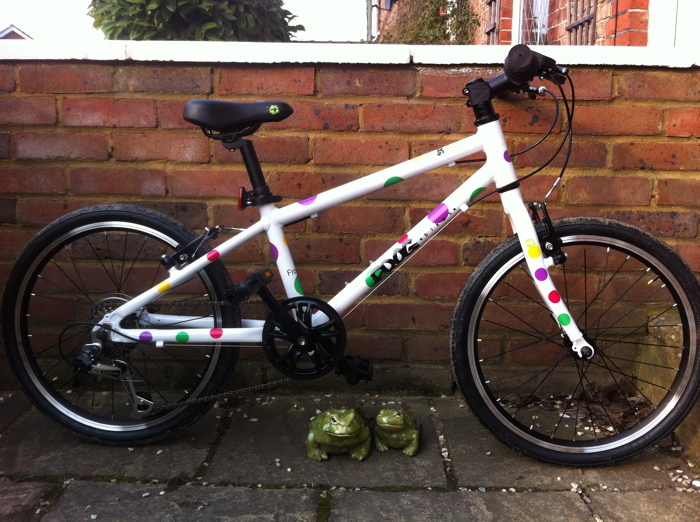 Frog Bikes cover an impressive age range from (approximate) ages 2-3 right the way up to 12-14. The thing is that children don't come in standard sizes for their age groups, but Frog Bikes seem to have got most bases covered with the inclusion of the minimum inside leg measurement, as children's bicycles are measured for fit by the stand-over height of the bike frame, and approximate height of your offspring to ensure the correct bike fit for your child. Frog Bikes now have 13 stockists in England (sorry Scotland) so it is always possible for you to find the local stockist via the website to check sizing, though that isn't always possible if the bike is meant as a gift for Christmas or a Birthday, and it is dependent on stock availability, but the website size guide should offer you all you need to know about sizing a bike correctly before you purchase. My children, Phoebe 8 and Beaux 7 are on the shorter side of the size guide for their age group so for the purposes of this review we requested a Frog 55, which is available in red, orange, purple or a spotty design. The sizing is just perfect for Beaux offering enough wiggle room for her as she grows, though truth told Phoebe got the most use out of the bike as she was more prepared to brave the cold winter chill we're still having this spring. The sizing of the Frog 55 for Phoebe is just about verging on the small size for her since she had a bit of a growth spurt earlier in the year, but she still sat comfortably on the saddle with a good reach to the handle bars with a bit of adjustment, and she had a lot of fun with the bike. It's a filthy habit all of this growing. Delivery of the bike was very simple and extremely efficient - it only took a few working days between the agreement of the bike and size and delivery and a tracking number was offered via email so that you could check the progress of the order if necessary. On delivery the bike was simple to set up, with just a bunch of standard allen keys and a 15mm spanner to put the pedals on. If you are at all unsure about this then it is best to make use of the Frog Bikes delivery to store and ask the bike shop mechanics to check over the bike and set it up on your behalf, this is usually for free if you are buying the bike directly from the store (please don't expect a mechanic to work for free on a bicycle you bought somewhere else). All Frog bikes are made from light weight aluminium; the Frog 55 bike weighs 8.9kg and is well specified with Tektro V-brakes that have adjustable levers for smaller hands and boasts 7 Speed Shimano gears which are controlled by an indexed Revo-shifter - the freewheel cassette offers a decent gear range between 14 and 28T with a steel 36 teeth chain ring. The sturdy 20" wheels are 28 spoke all aluminium (hub and rim) and come with quick release for easy removal to deal with punctures and storing in the car boot to take on trips. 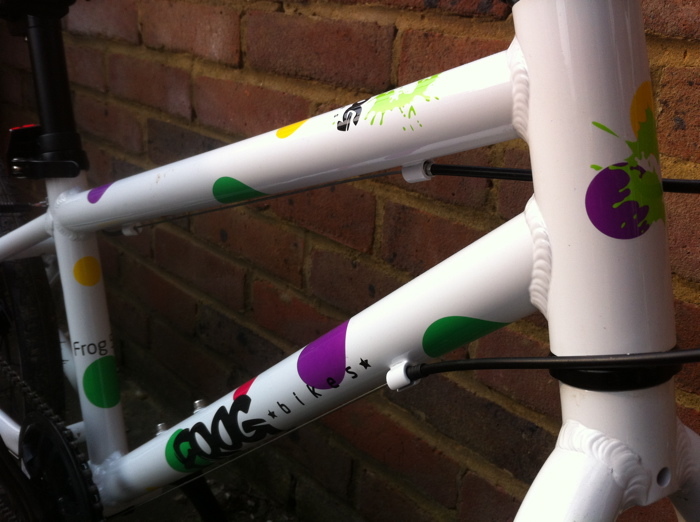 The rest of the bike is built with standard black aluminium parts; the bars, stem and seat post are branded as Frog Bikes own. If looked after well and regularly cleaned and serviced this bike will last forever. 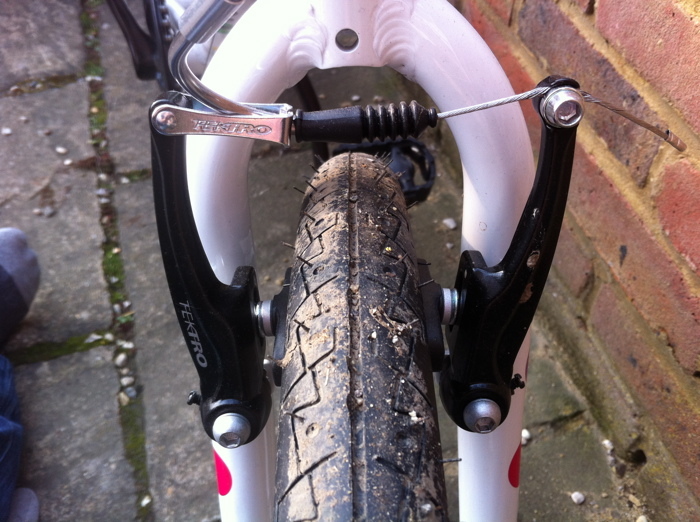 The forks are painted to match the frame and have a slight kink which rakes the fork to provide some added stability and comfort for the rider through the bars. The bicycle does come with mudguards but I didn't attach them for the sake of this test. 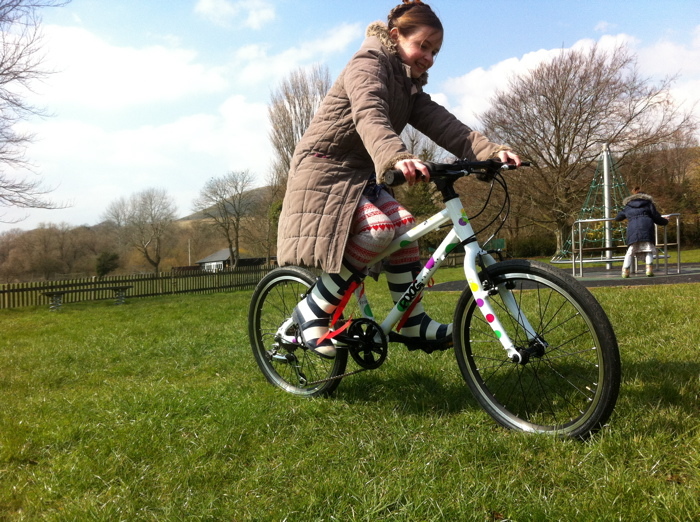 Phoebe says: "It's fun to ride on, it's brilliant at going down slopes and I really like the spots! Twisting the gears was easy and the brakes are excellent to pull down on to stop you. Whoever gets this bike will be very lucky." At Â£250 the Frog 55 is just above average price for a new children's bike in that size, and for peace of mind it is worth paying that bit extra for a bicycle where the specification is slightly higher and you know the component parts will last and a frame that can take the general bashing it will receive, that for me is value for money. These bikes should retain their value when it is time to move up a size and can generally be sold quite easily. 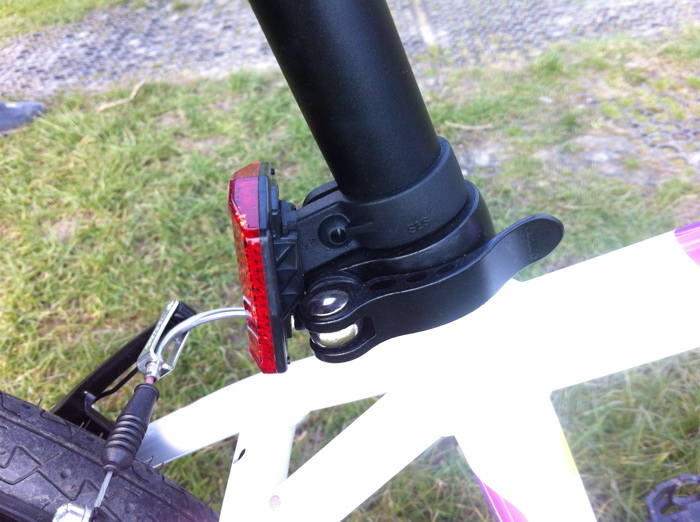 Frog Bikes can also offer a part exchange for the old bike. I think Frog Bikes offer a delightful range of bicycles with a fun design and colour choice - judging by my girls' reactions when unpacking the bike I would definitely consider Frog Bikes for the next time we are ready to buy bicycles for our children. The Frog Bikes range runs from a balance bike suited to 2-3 year olds all the way through to the Frog 73 which has 16" frame which will suit a 12-14 year old, they also sell a huge range of fun accessories through their website including helmets, lights and even handlebar heroes. I'm not sure where you're getting your info, but good topic. I needs to spend some time learning more or understanding more. Thanks for wonderful info I was looking for this information for my mission. The <a href="http://www.rooferohio.com/roof-repair/">commercial roof repair</a> job is great and is helping people. The (http://www.rooferohio.com/roof-repair) commercial roof repair job is great and is helping people. The <a href="http://www.towingcompanylasvegas.com/towing-henderson/">cheap tow las vegas</a> is a great piece of work that allows for local bikes to get better service. 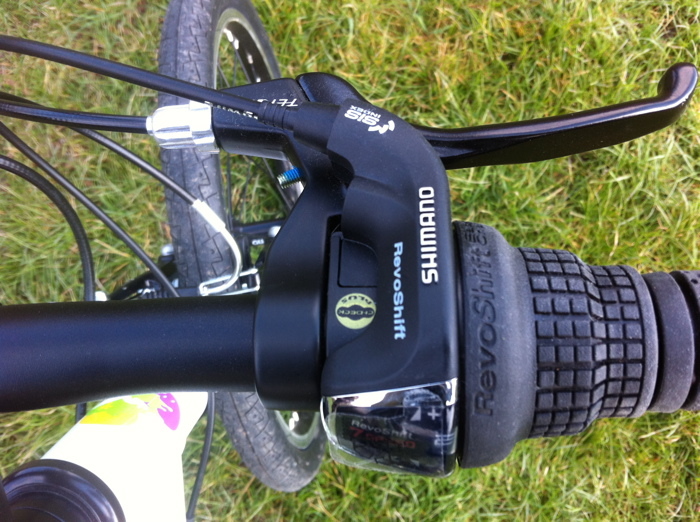 Great Bike, and it's Shimano, so I know it's durable. 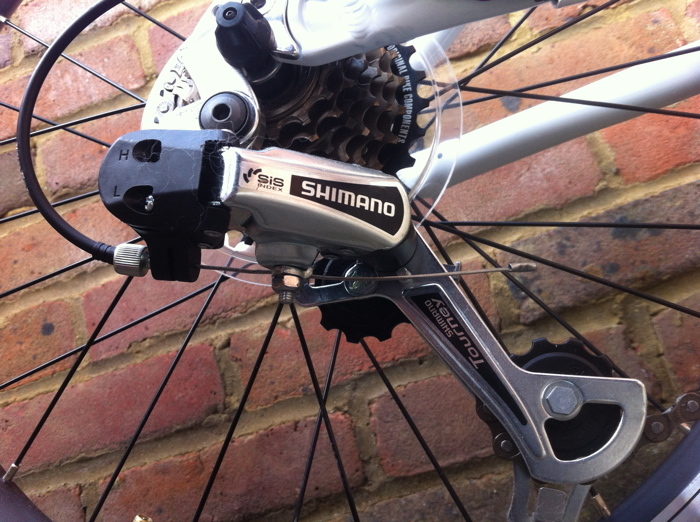 I have been riding Shimano bikes since I was a teenager. It's awesome that they're coming out with products that cater to children - especially now that I have two young kids myself! Be bold and use fake acrylic pearl beads that aren't all of uniform sizes and styles. Silver jewellery is also extra recession proof than gold. Shimano always has the best new gear. Thanks for posting this. Great kids bike. Well built and solid - should be good for years. These are great reviews. Keep up the good work. Those bikes look amazing! Gotta get one for my kid. Keep up the great work with the reviews!